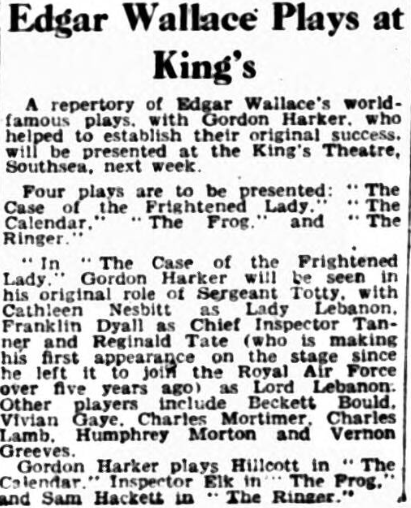 Charles Mortimer was a member of the cast of "The Case of the Frightened Lady" at the King's Theatre, Southsea. From the article to the right, it seems he was playing in four different plays, all starring Gordon Harker. In the following year, Charles was in the cast of "The Ringer", (see the ), it may be that this was part of the same series of plays.